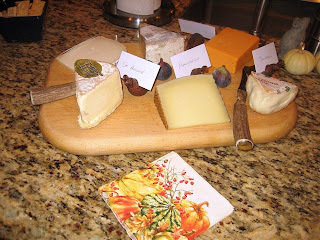 It's always great to get more info on beer and cheese pairings. I'm already planning a beer and cheese function in my new neighborhood. We are building a new house and the "housewarming" party will be a craft/homebrew and cheese tasting. I figured if the first time the new neighbors set foot in my house and they see it as an "ale house", folks won't bring wine over when they visit but a good bottle of beer! Thanks David. Sounds like a wonderful inaugural for your new house!